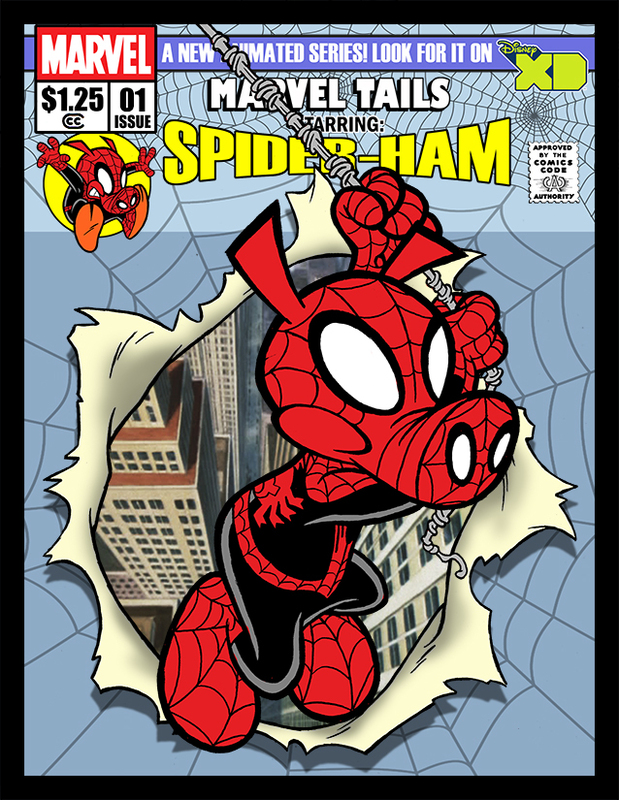 Spider-Ham is a version Spider-Man from a very silly alternative dimension full of anthropomorphic animal parodies of Marvel characters. 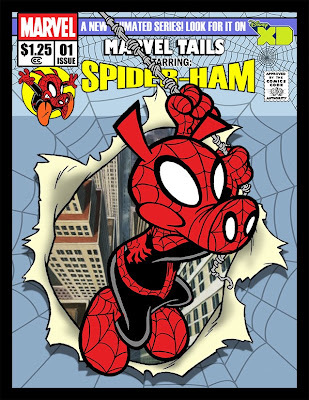 Spider-Ham is an anthropomorphic pig, with the super powers of Spider-Man. Continuity has not always been clear cut on this character his origin has been depicted a couple of different ways. I will tell the originaly depicted origin of the character. Peter is a spider. Yes, he is a spider not a pig. He minding his own business when a crazy scientist anthropomorphic pig by the name of May Porker is filled full of radiation. May was working on adding nuclear power to hair dressing equipment when something went wrong. Fully demented due to the radiation May in explicably picks up Peter the spider and bites him. Peter survives the bite, and is transformed into an anthropomorphic pig like May. He runs outside frightened and learns that though he has transformed into a pig he has retained his abilities he had as a spider. In this way he has the strength, speed, wall clinging ability and even the spider sense powers commonly associated with Spider-Man. May Porker ends up believing that Peter is her nephew. This is in part due to the delirium of the radioactivity poisoning. She ends up raising Peter as a loving aunt. Peter takes the last name of May and calls himself Peter Porker. May Porker's scientific know how is also transferred into Peter. He uses this knowledge to construct webspinning gauntlets to create webbing. 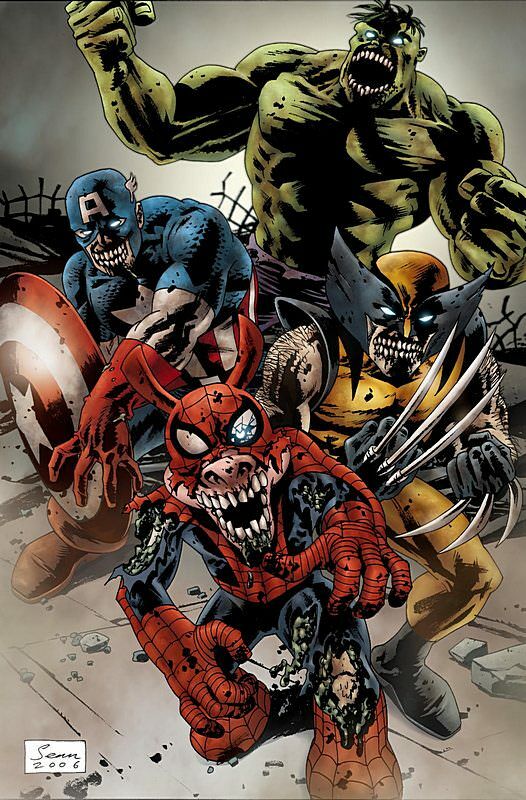 He then goes off into the world to battle evil, animal parodies of common Marvel villains. In the Spider-Man event called the Spider-Verse, Peter Porker joins a team of spider-totems to fight off the evil inheritors who are hunting down spider-totems throughout the Marvel multiverse. 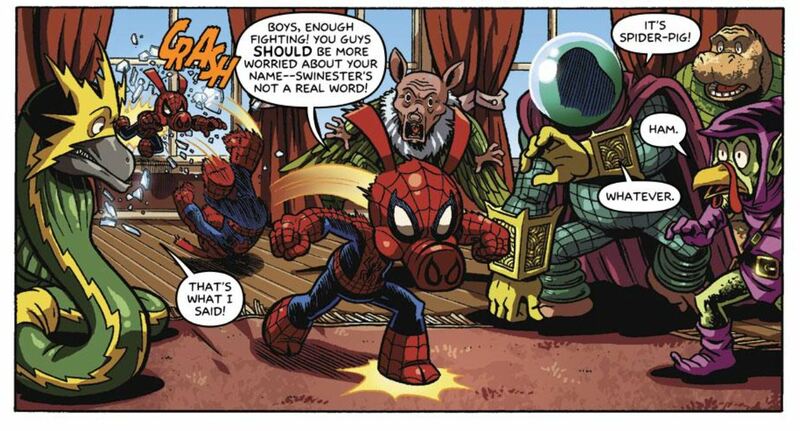 Spider-Ham faces off against a slew of villains who are anthropomorphic parodies of Marvel villains. 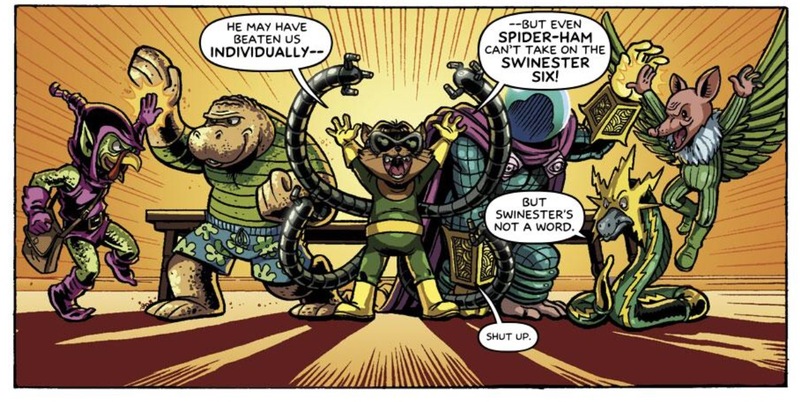 This includes a version of the Sinister Six called the Swinester Six. 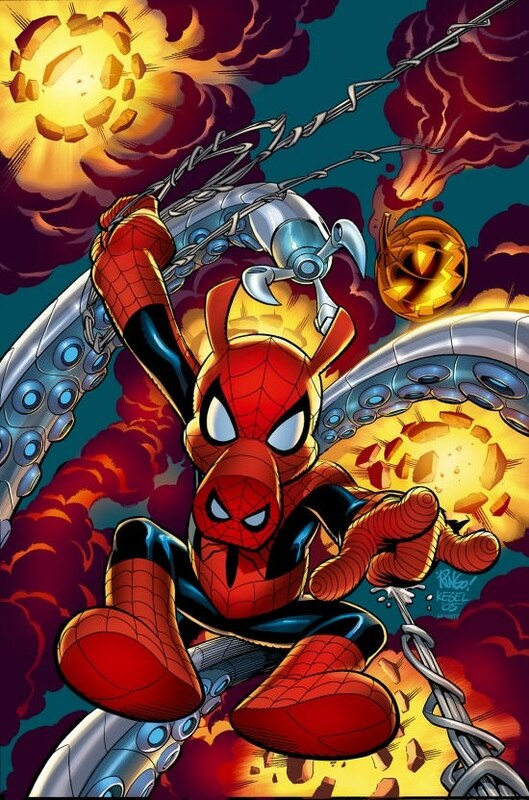 After Spider-Verse, Spider-Ham has grown in popularity and he has been featured in a lot of great art pieces.